Lair of the Spiderwoman - Together, We Make Memories! 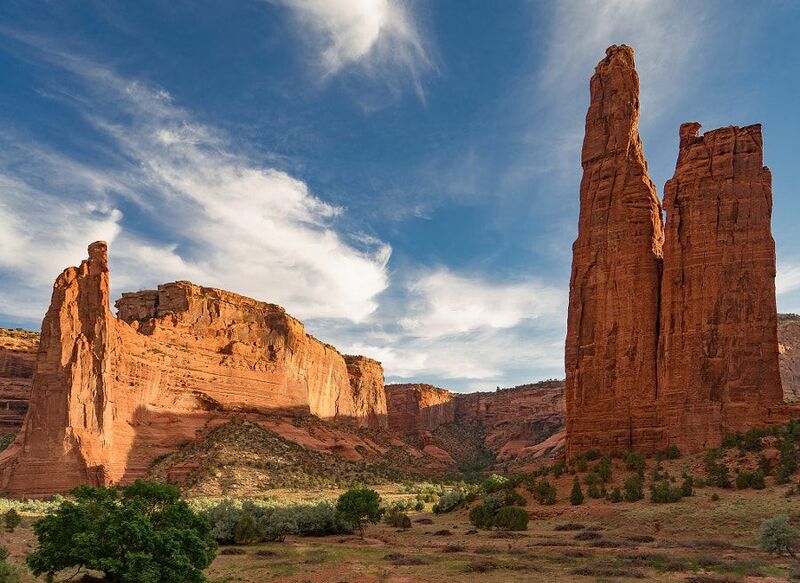 In Navajo mythology, Canyon de Chelly (pronounced Canyon de Shay) is the place where humans first emerged into this world. The Spider woman who lives inside the 750 ft tall spire pictured here, is the creator of the world and everything in it. It is said that she took a web she had spun, laced it with dew, threw it into the sky and the dew became the stars overhead. This fine art image by Pat Kofahl is available in multiple sizes on paper, canvas, metal and plexiglass. Prices start at $49.00!